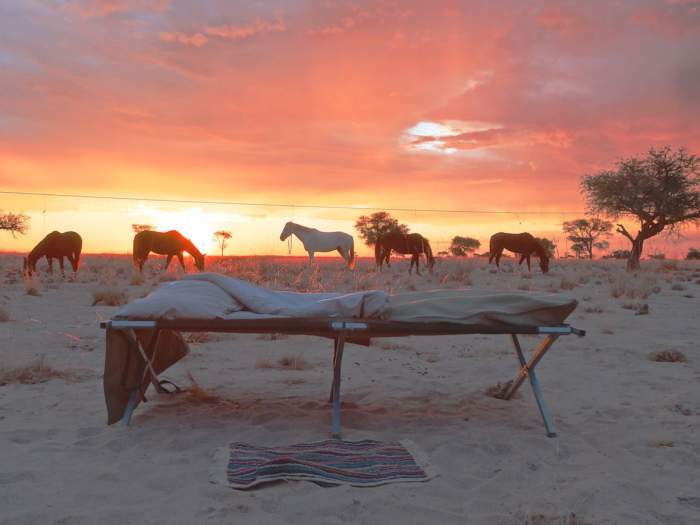 Over 20 years of experience guiding horse riding safaris across the hauntingly beautiful Namib Desert, has led to the creation of the ultimate ride in Namibia for those who love all things wild and free. This true adventure takes you through some of the most unique and breathtaking desert landscapes on earth. You will tackle this challenge aboard super fit, responsive and impressively sure-footed horses. There are approximately 80 horses of varying types available; ranging from Arab, Trakehner/Cross, Hanoverian, Boerperd and ranch horses. These rides are suitable for experienced riders only. 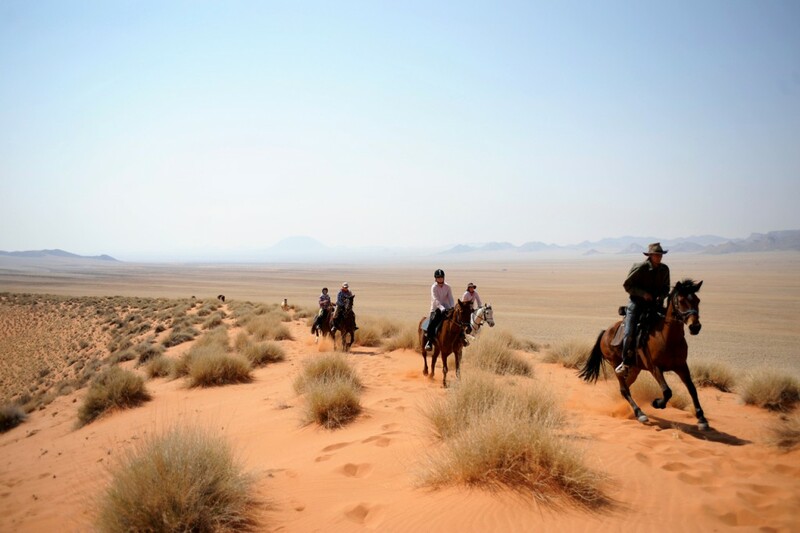 This is an adventure like no other; from the iconic dune sea of the Namib Desert to the edge of the stunning Sperrgebiet National Park, this ride traverses land previously unexplored and you will pioneer trails across spectacularly contrasting desert landscapes. 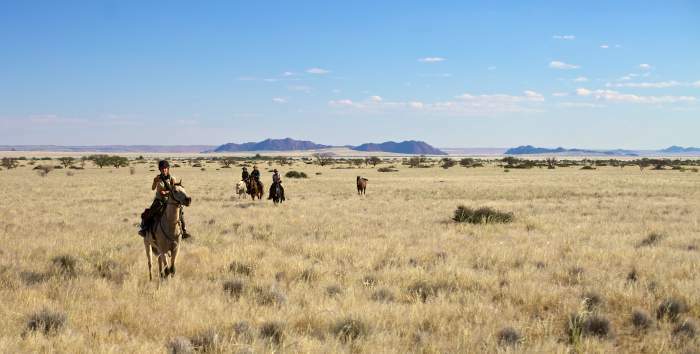 You will cross some of the best riding terrain in the world, covering vast grassy plains, passing the inselbergs (island mountains) and encountering herds of desert-adapted game. 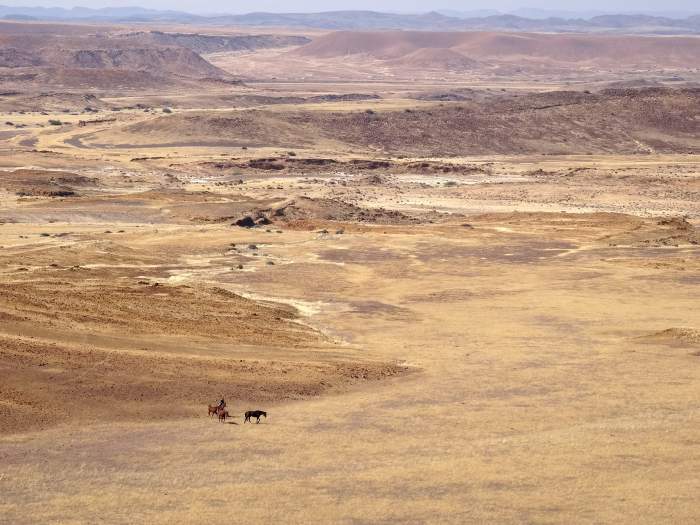 The journey ends at Klein Aus Vista close to the home of the Wild Horses of the Namib – an unforgettable end to what will have no doubt been an unforgettable ride in Namibia. Riding Level: Riding 20 - 50 km per day or up to 6 hours riding at all paces over uneven terrain, this ride is not suitable for inexperienced riders. You will need to ensure you are riding fit in the lead up to your safari and riders must weigh no more than 85kgs in full riding gear. Riders who are over the weight limit will be charged for an extra horse/s and the maximum weight is 93kg. 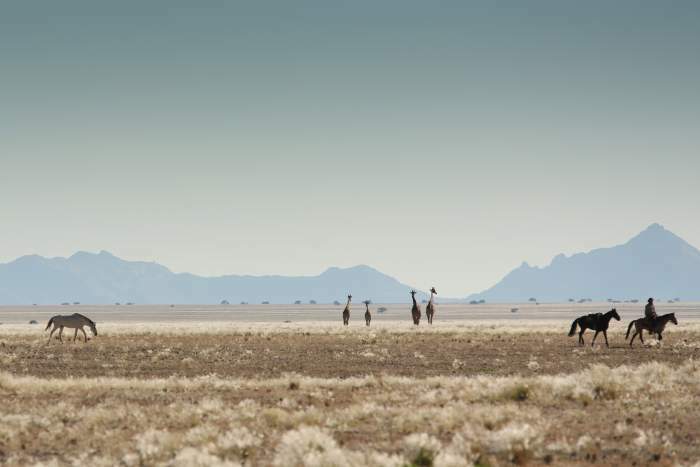 Namibia with its stark and striking landscapes will take your breath away. 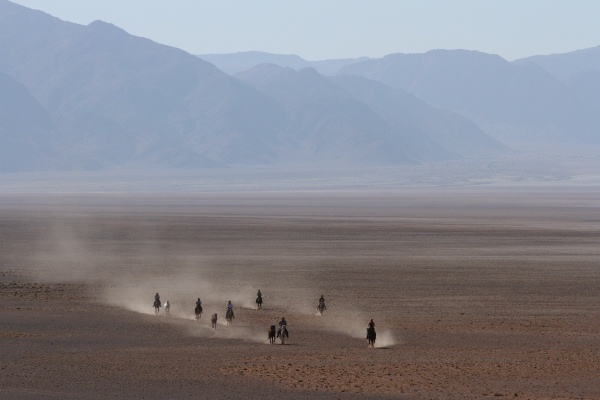 The Namib Desert is one of the most spectacular desert landscapes in the world and what better way to explore it than from the back of a horse. The desert is home to a surprising variety of wildlife, all adapted in exceptionally special and interesting ways to survive such harsh environments. Traversing this sparse, wide and varying terrain will give you a sense of adventure very difficult to rival. As the sun sets the Namib skies reveal an equally impressive spectacle of the Milky Way stretching far out; with less light pollution than virtually anywhere else in the world the stars are virtually unparalleled. 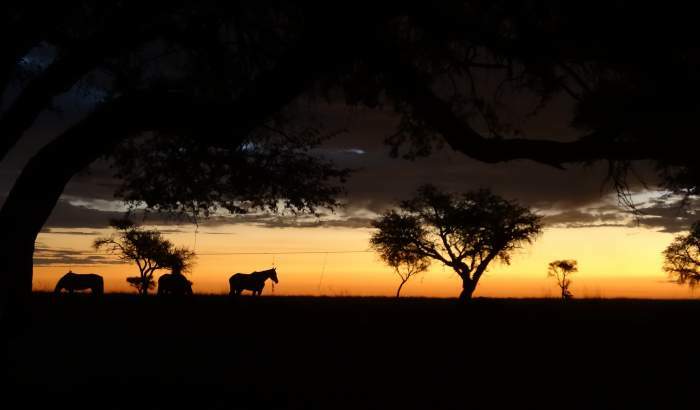 Day 1: After being met at Windhoek International Airport you will be transferred to your overnight accommodation and meet the rest of your riding group for dinner. Over dinner you will be briefed about what to expect on your upcoming adventure. Day 2: Following breakfast you will have a 4 hour drive to your first lunch spot in the quaint town of Maltahoe before descending down the Zaris Pass to the Wolwedans Private Reserve – this will take approximately 2.5 hours. 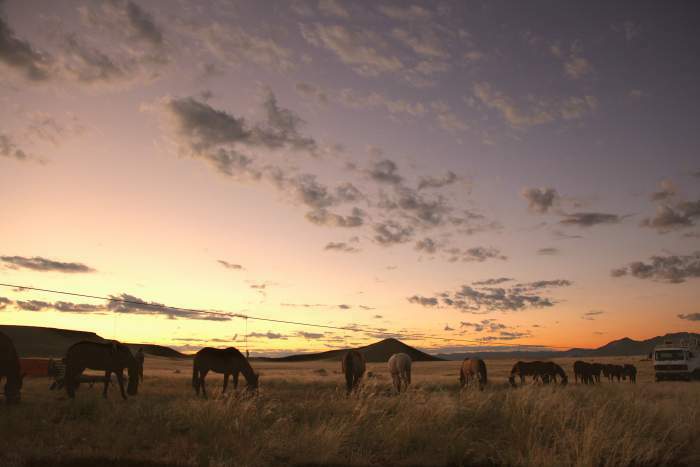 After settling in, going for a little explore, meeting your crew and horses, you will enjoy your first spectacular sundowners as the sky turns from red and orange to reveal stunning views of the Milky Way overhead. 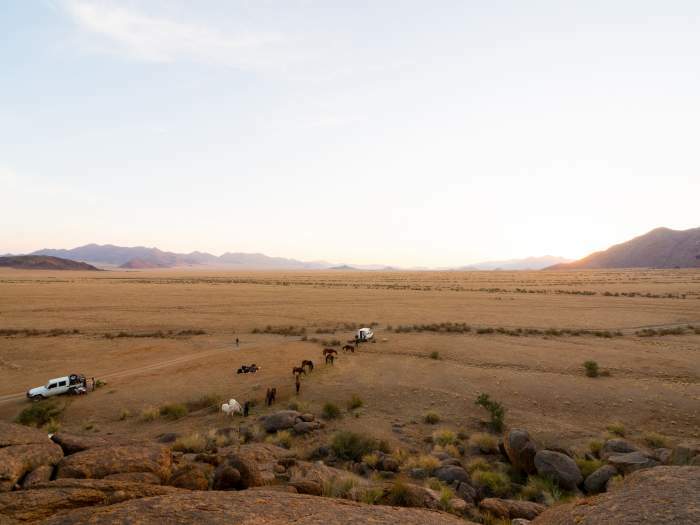 Day 3: Today the real adventure begins as you climb aboard your noble steed for the first time and head out into the vast expanse of one of the largest Nature Reserves in Southern Africa. 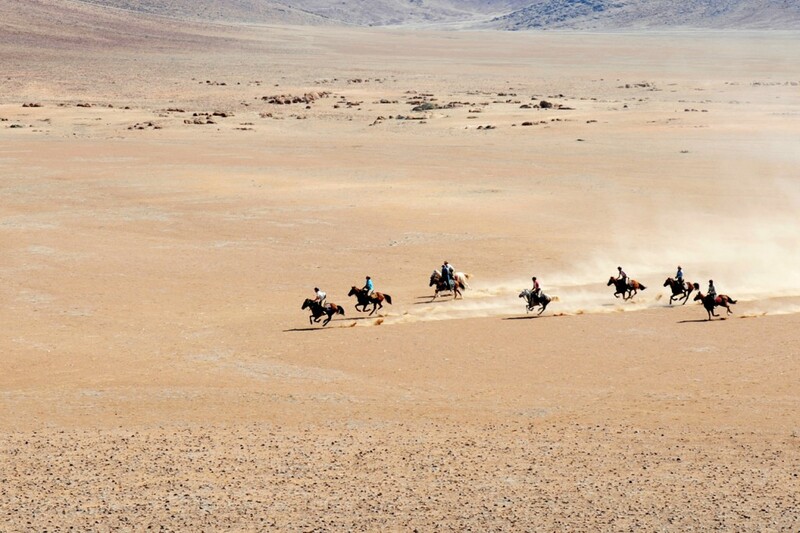 Riding through this wide untouched landscape you will experience some of the world’s last true wilderness. 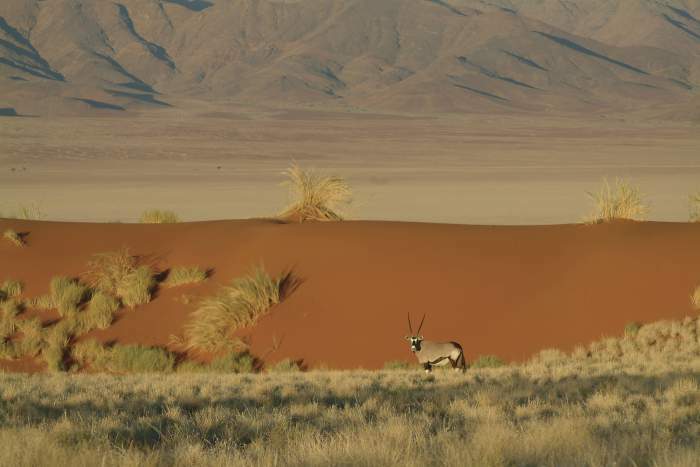 Exceptional panoramic views broken only by inselbergs (island mountains) and Namibia’s desert-adapted wildlife such as herds of Oryx, Springbok and Zebra. Tonight’s camp – Boulders Camp - is nestled amongst huge granite boulders which add a new dimension to the never ending desertscape. Day 4 to 9: After breakfast you will set out across wide open country calling out for some faster paced riding and the chance to release your inner cowboy! You will have a spontaneous lunch spots, enjoyed under a shady tree or somewhere particularly stunning. 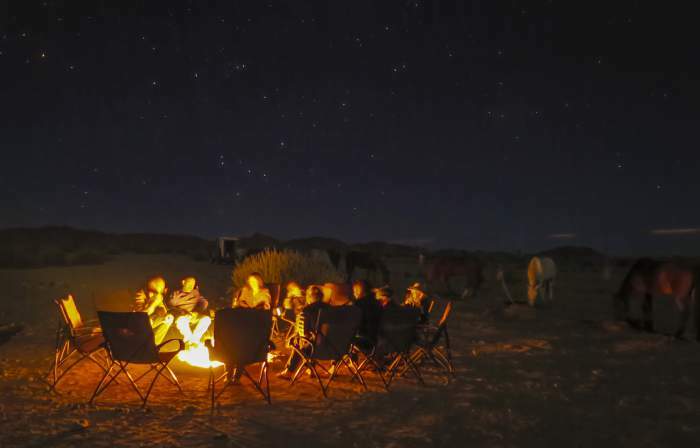 Reaching your overnight camps before the sun sets will give you a chance to grab that all important sundowner beverage and watch the trademark pastel light of the Namib paint the landscape, before tucking into your camp bed for yet another night spent sleeping under the stars. The Namib Desert, with such little light pollution, offers unparalleled views of the southern constellation. Being desert pioneers, this section of the route may vary depending on the weather or unforeseeable circumstances but there is no doubt each day will be an adventure and one to remember. 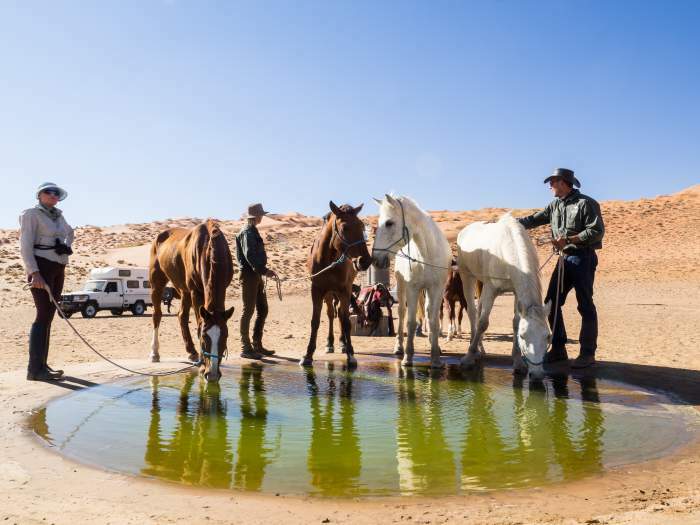 Day 10: Today you will get the chance to visit the Wild Horses of the Namib and time permitting there should also be the opportunity to visit Kolmanskop, the old German diamond mining town and to explore the coastal town of Luderitz. Your journey will end with a huge sense of achievement and a last memorable dinner together, reminiscing about your adventure around the camp-fire. Ground transfers from Windhoek International Airport to starting point of ride and return transfer to central Windhoek or Windhoek International airport on day of departure. The day will usually begin at sunrise with departure generally by 8am. 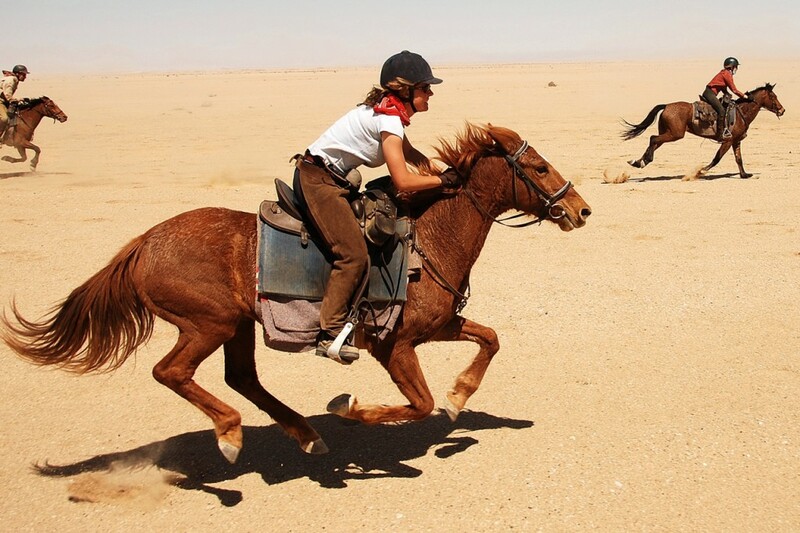 Riders will usually be in the saddle for around 4-5 hours before lunch, lunch break between 1-3 hours and then another 2-3 hours riding in the afternoon. You will average 20-60km per day over all types of terrain, some of the riding is tough and will require a good sense of humour on the odd testing moments necessary in any adventure. On the nights stated in your safari itinerary you will stay in amiable lodges. The accommodation is chosen for their comfort, where possible with twin-bedded rooms and en-suite facilities. While most guests are happy to share twin accommodation (or tent if required), on booking it is possible to request single accommodation – subject to availability and a supplementary charge.